From the developers of Chivalry: Medieval Warfare comes an exciting new voyage into the FPS genre -- one full of magic, swords, and lopped-off heads. 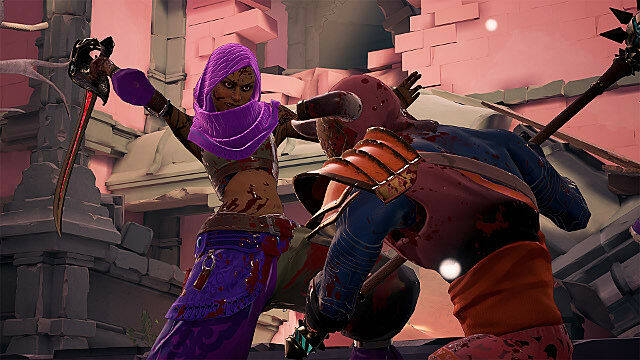 Due to release May 23 on Steam, and currently in open beta, Mirage: Arcane Warfare is Torn Banner Studios’ latest foray into the first-person slasher genre. 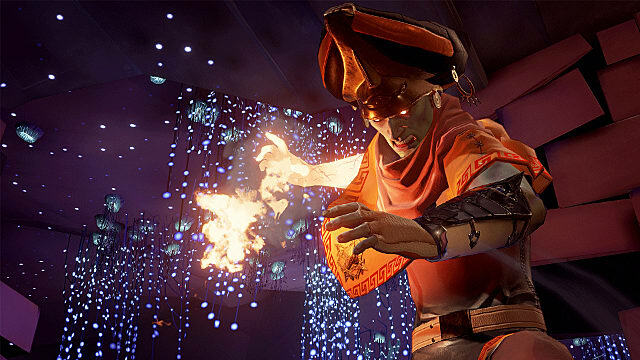 Unlike other first-person shooters that predicate themselves on twitch gameplay and ludicrous loadouts, Mirage trades in high-tech weaponry for spells and scimitars, maces and gruesome mayhem. Where Chivalry is more an exercise in brute force, Mirage takes that team-based formula and vastly improves upon it, infusing raucous battles with deep tactical strategy. 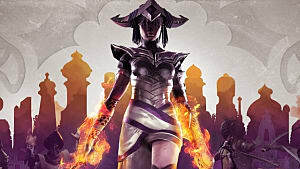 After spending about 10 hours with the Mirage: Arcane Warfare beta, it’s safe to say that this multiplayer FPS is leading the charge into the future of skill-based melee combat. Sporting six death-dealing classes, which we’ll talk more about in a few paragraphs, players have a bevy of ways by which to send their opponents to the afterlife. 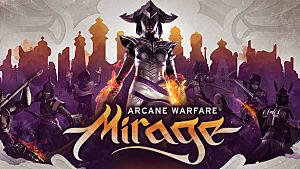 And although fighting in Mirage: Arcane Warfare takes some getting used to -- especially if you’ve not honed your skills in Chivalry or are new to the genre -- it only takes a couple of matches in the trenches to get the hang of blocking, attacking, riposting, and skewering. Lopping off an arm with a scimitar or burning the skin off your opponent with a precisely placed meteoric firestorm feels intuitive and natural -- as if you’ve always been a death-dealing murder machine. Toying with opponents has never been more fun. 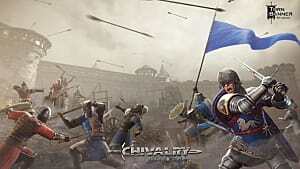 Like Chivalry: Medieval Warfare before it, your biggest ally in Mirage battles is patience. Here, skirmishes are faster and more frenetic. But waiting until the opportune moment to strike or parry is an essential skill you must learn early and implement often, lending even the most chaotic encounters a balletic ebb and flow. Games of cat and mouse are commonplace -- with players attacking and retreating, always vying for the upper hand. Until a huge fireball or lance skewers you from behind. But what really sets the combat off in Mirage is the game’s fluid and intuitive control scheme. 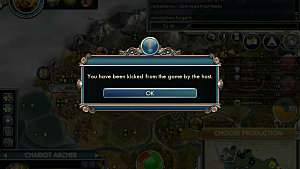 All standard attacks are mapped to your mouse, while all powers are mapped to the QEF buttons on your keyboard. For players with smaller hands, this layout is optimal for quick, unobtrusive recall in combat. It also means you’ll never misuse an attack in the wrong situation, retreat when you’re not ready, or drop an AOE attack to disrupt an enemy team’s offensive. 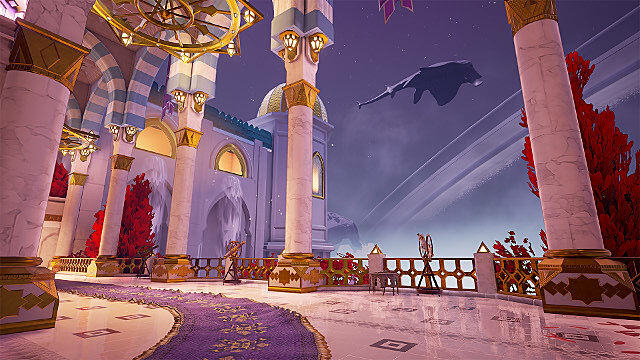 Each of class in Mirage: Arcane Warfare is unique, bringing to the battlefield its own set of distinctive attacks, weapons, and abilities. On top of that, each class has two combat presets, each sporting diverse weapons and special attacks. From ranged bolts of fire to powerful AOE attacks and defensive maneuvers -- including a kickass flying carpet -- these classes provide their own strengths and weaknesses in battle, fulfilling specific team-based roles such as tank and support. Let’s take a quick look at each and what they bring to Mirage’s combat. Arguably the most diverse combatant on the battlefield, the Entropist is a support/offense hybrid that’s able to heal allies with Healing Well and Healing Grenade, as well as deal damage from afar with abilities like Projectile Teleport. He’s no tank, so up-close hack-and-slash isn’t his forte. Instead, he’s highly evasive and built for dash-attack-dash combat techniques. Oh, and he’s got a crazy fun magic carpet that can easily whisk him away from immediate danger. Next to the Entropist, the Vigilist is Mirage Arcane’s best defensive support. Capable of blocking and negating incoming attacks and shielding allies from certain death, the Vigilist is agile and vigorous. This class crowd controls like nobody’s business by using skills like Iron Dome and Disperse, and is adept in quickly parrying incoming melees to set up devastating counterattacks. This class is the hobgoblin of the FPS. A trap specialist and highly mobile, the Tinker is able to dip, dive, duck, and dodge around and away opponents with ease while attacking in short, vicious bursts. On top of that, this class is able to lay devastating traps for any enemy unlucky enough to fall into them, using abilities such as Stasis and Proximity Mine to dole out damage. This class’ strength is pushing enemies out of fights and murdering them for engaging any ally. Ah, the Alchemancer. A true mage class, he’s capable of delivering devastating damage through the adept use of spells like Chaos Orb and Piercing Shot. Only capable of dispatching enemies at range, the Alchemancer is fairly easy to dispatch in close quarters, but a true marksman when left in the open field. This class is truly vicious. Whether at mid-range or up close, the Vypress relies on evasion and accuracy to kill her enemies. This class is truly aggressive and highly focused on melee attacks at close quarters. Wielding a scimitar and blade-whip, the Vypress is also best used stealthily and from the shadows. She can be a real pain in the neck…unless you’re the one doling out the pain. This guy’s a tank. Sporting heavy armor and a terrifyingly huge mace, the Taurant class is a bull on the battlefield. Getting up close and personal is his M.O. -- especially with special attacks such as Charge, Boulder, and Leapslam rounding out his brutal repertoire of moves. Being able to take and dish ample amounts of damage, this is a class that requires less finesse than other classes, and is a good starting point for newcomers to Mirage Arcane’s battle system. 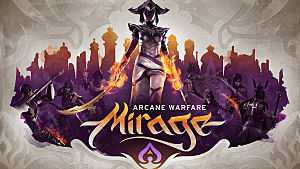 Combat between Mirage: Arcane Warfare’s two factions currently plays out in 10 theaters of war. The diverse offering of killing floors -- ranging from wide-open desert maps to near-claustrophobic temples with abundant verticality -- are filled with arresting design decisions, many that provide players with multiple pathways to a kill (or kills). There’s nothing like rushing a room with a Taurant and murdering everyone inside -- or watching those lucky enough to escape your wrath scurry through tight entry points and corridors like terrified rats. Each map also provides players with unique tactical advantages that play into the strengths and weaknesses of each class. So not only must players use their skill to defeat enemies, but they must also use wit and guile to exploit the advantages and comprehend the disadvantages of any lane or pathway. On top of that, Torn Banner challenges players via modes such as Team Deathmatch, CTF, and Push -- a frenzied mode in which glyphs (or capture points) move about the map as teams attempt to capture them. Although these modes may appear passé at first glance, Torn Banner has infused each with a uniqueness -- via level design and class development -- that keeps players on edge and guessing as they play. 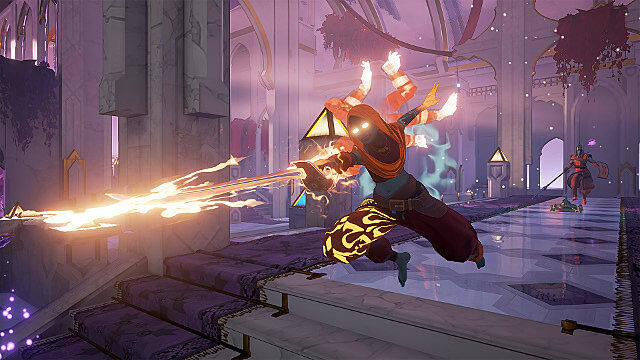 Meeting at the “intersection between close-quarters and ranged combat,” Mirage Arcane’s developers have promised that players will feel the crunch of maces against bone and the smell of rending flesh seared by a sorcerer’s flame-bolt. And with Mirage’s ragdoll physics and gore-centric fantasy combat taking center stage, we can officially say they’ve delivered on their promise. This game provides a powerfully tight package of competitive gameplay that will excite and engage any FPS fan. Anyone looking to trade in their guns for a strategic, skill-based alternative to today’s over-the-top modern warfares should take note of Mirage, as its civil war is bound to recruit many an FPS fan when it launches on May 23. 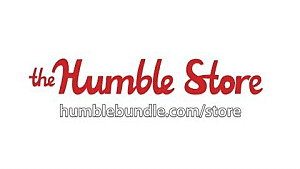 Humble Bundle Store Debut - Sale!